(10043) Walled Lake, Michigan. 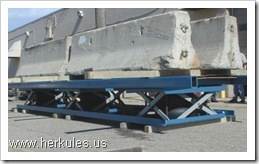 Herkules Equipment Corporation has designed and built a new Scissor Lift Table that Tilts and Rotates, providing a unique solution for certain applications. 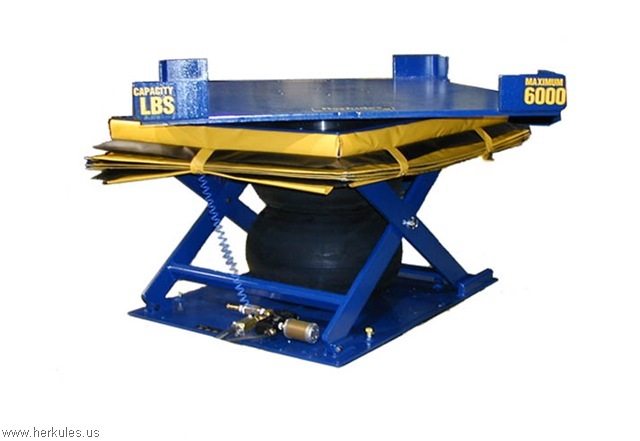 This lift system was specifically requested for an application that raises, spins and tilts large containers of special liquids during the production process which improves the ergonomic conditions for workers. (10042) Herkules Equipment Corporation offers convenient, portable Air Jacks that are a compact and powerful tool for supporting, leveling or positioning heavy equipment. The Air Jacks feature an internal stabilizing cylinder ensuring stable, solid positioning. Dual safety valves prevent both over-inflation and uncontrolled deflation. 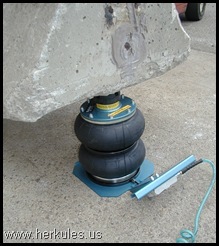 They are easy to use and virtually maintenance-free. 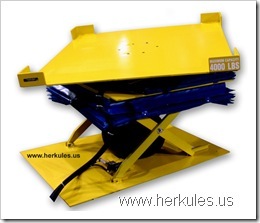 (10038) Herkules Equipment Corporation has added information-packed pages to its website in the form of a blog covering a wide range of topics all related to scissor lift tables and material handling systems. 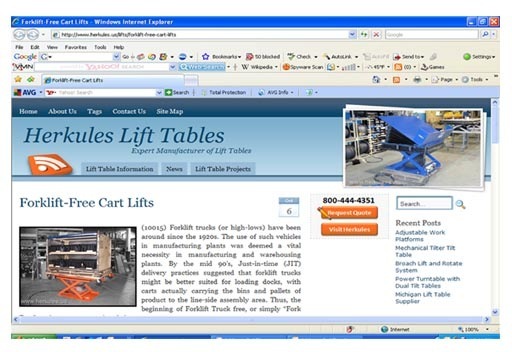 Topics include basic applications of scissor lift tables for all possible uses under the sun: basic workstation lifting; scissor lifts for conveyors; skillet lifting system; operator lifting; instrument lifting; and the list goes on and on. (10037) The advancements of automation of the manufacturing plants throughout the world will continue on an upward trend for years to come. The concept of automation along with robots, automated manufacturing and computer aided design are all advancing our technologies forward into the future. 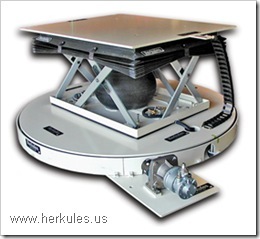 (10036) Mechanical screw technology powered with electric servomechanisms is one of the base technologies of robots and automation used in manufacturing. 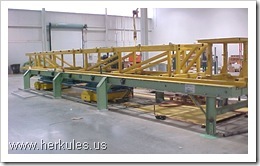 Mechanical screw technologies used with lifting systems are typically ball screw and ACME screw. 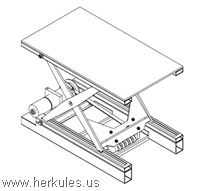 Below I describe some of the advantages and disadvantages of each type of screw technology and the exceptional benefits that the servomechanism provides when used with the Herkules ball screw scissor lift tables and ACME screw scissor lift tables. (10034) Many commercial establishments such as restaurants and hotels have floor plans that utilize multi-level seating or dining areas. 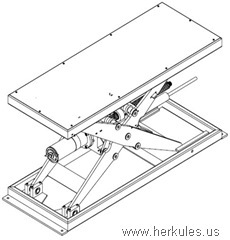 Since these changes in floor heights are not high enough to warrant use of an elevator, most utilize steps to ascend from one level to the next. 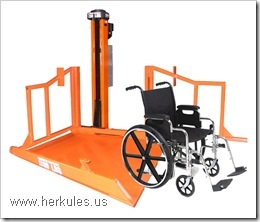 What appears to be an easy climb for able-bodied people can prove to be a monumental task for people in wheelchairs.